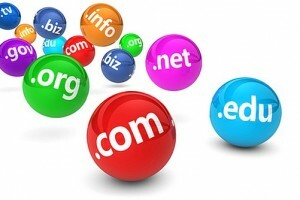 All of our Websites are hosted in the UK by one of the largest trusted web host providers. We believe that web hosting is more than just providing a space for your website. Our aim is to provide businesses of all sizes with everything they need to express themselves on the internet. However we create your website whether it be a small family photo album or a full powered data base driven ecommerce website, the choice of web hosting is essential. The right web host will make the difference between a slow clunky site that has regular down time and a site that is always available and blisteringly fast! Quality hosting: The purpose built web hosting infrastructure is unrivalled in the UK for stability and reliability. Excellent customer service: On the rare occasion that your website may suffer an issue with its web hosting we can normally resolve the problem within a couple of hours. Value for money: We deal with all your hosting requirements taking the burden away from you. Our hosting packages start from £50 a year which makes us one of the cheapest services you can find. Your hosting grows with your website: Our web hosting is ideal for all types of websites and if your website needs more specific requiremets then we can adapt it to suit you. Constant Monitoring and Security Upgrades: Our suppliers take our your security very seriously and all software is upgraded within 24 hours of new patches being released. Our suppliers only use Dell servers in their web hosting platform. The platform is designed to be highly redundant and all data is stored in network disk arrays. Our suppliers utilise uninterruptable power supplies and an n+1 generator setup to ensure constant and clean energy to their infrastructure. The data centre is protected by fire suppression, monitored by CCTV both externally and internally, has 24x7x365 onsite security and the building is surrounded by an 8ft perimeter fence.